Coworking has exploded globally over the past two years. According to one study, there were over 835,000 people working out of coworking spaces last year. The number of coworking spaces alone is expected to jump from 11,300 in 2016 to 13,800 by the end of this year. The largest VC backed companies in this space have raised several hundreds of millions in funding to help expand their global footprint. 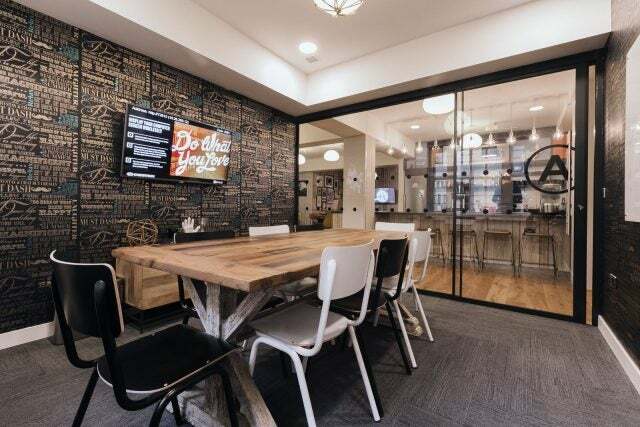 If you are someone like me who runs a startup digital web design agency in New York and has spent several years working remotely out of your home office, then the move to a coworking space can be a difficult decision to make. Let’s be honest, working from home has a lot of pros, and a few cons too. The biggest advantage is the time you save in commuting. The other advantage is the ability to get your errands at home completed. But it is also true that working from home can be incredibly lonely, especially if your job does not require you to talk to a lot of people. One reason why I persisted with working from a home office was because of the lack of distraction from coworkers, or so I thought. I could get a lot more done when there isn’t someone around me talking loudly on their phone or making small-talk with their colleagues. But I decided to give it a chance and in 2017, I moved to my first coworking space. So was it worth it? Here are a few takeaways from it so you can decide for yourself. It definitely is true that you will be dealing with a lot more noise and chatter than you will be used to in a home office. But what I have also noticed is that these minor distractions tend to keep you awake. I had come to enjoy the silence of my work environment at home. However, this also meant that you could have a quick nap or watch TV when you are not feeling very productive. In a coworking space, you have people working diligently all around you. The minutes you waste because of distractions are more than made up for by the hours you save by being extra productive. You also can always jump into a phone booth, conference room or other quiet areas. Some people love networking while others dread it. While I am personally not averse to making work friends, I did not want this to be a distraction. Unlike popular perception, coworking does not necessarily mean you automatically have to fake a smile at dozens of strangers you have no intention of befriending. There are all kinds of people in a coworking space and people who choose to focus on work can do so without any problem. 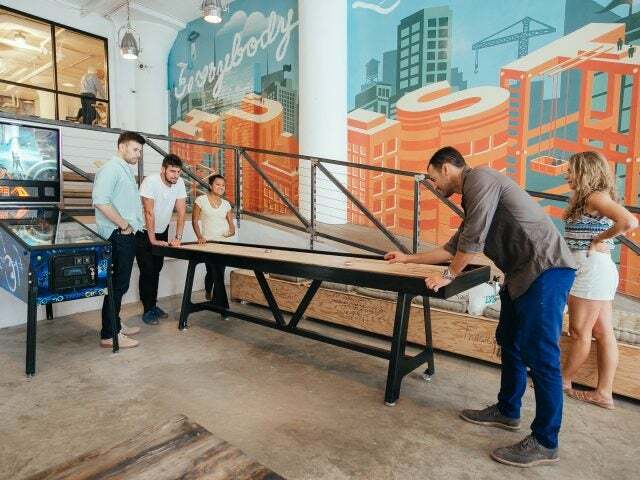 While young people are definitely the dominant demographic in shared office spaces, the ecosystem of people, companies, and industries is actually becoming incredibly diverse. And so if you are a startup looking to find evangelists or partners for your business, then a coworking space provides an opportunity to do so. For every tech startup, there’s a lawyer in private practice or a video production company. You never know who you’ll meet and how you might be able to collaborate. You are regularly invited to idea exchanges and community events that can help you find people with the passion for solving the same issues as you do. 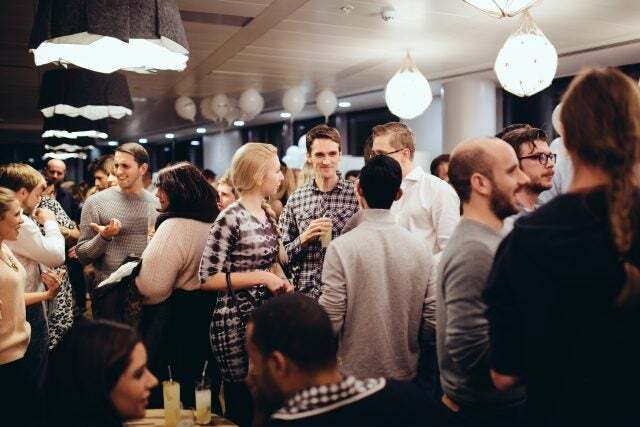 Events are an essential part of the shared office experience. From regularly scheduled office hours with venture capitalists or other industry professionals to happy hours with the whole community. Again, you can choose not to go to these events if you are not keen on attending them. The good thing about coworking spaces is that it caters to both types of workers in equal measure. Many coworking spaces these days are offering interesting amenities and operational infrastructure to entice new members such as 4GB fibre wifi internet, business-class printers, games, unique common areas, micro-roasted coffee, front desk service, mail & package handling, private phone booths, craft beer and office supplies. Coworking companies are very familiar with the needs of growing small businesses and most of them offer a variety of services that can help your business grow. These range from pitch nights in front of investors to mundane things like help with payroll benefits and accounting services. Even if the company itself can’t help, you can always ask your neighbor for advice. Coworking spaces aren’t really that expensive unless you go to the fancier ones or get a large private office. In the United States, a coworker pays an average of $365 a month for a desk with normal office infrastructure and 24-hour access. Comparatively, a desk in a typical office costs $733 on average. 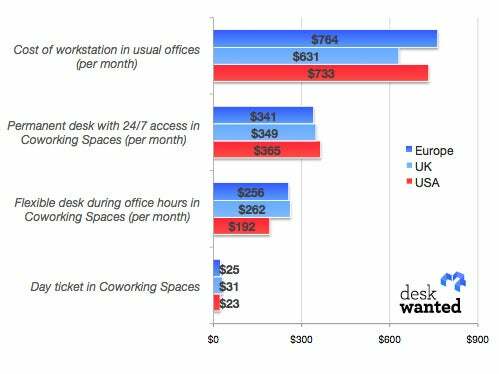 According to recent study desk rental in a coworking space costs half as much as maintaining a workstation in a regular office.So if are a freelancer or bootstrapped startup located in Europe or the United States, the options are fairly abundant in most cities. 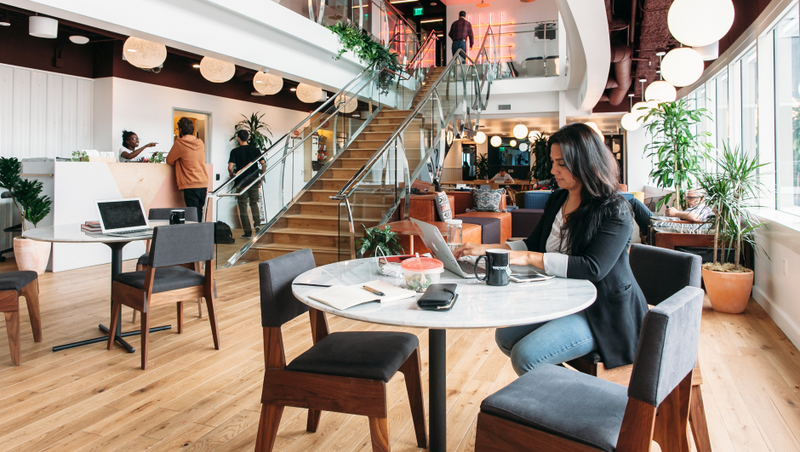 There are coworking memberships apps such a Deskpass or Croissant that are similar to WeWork, which allow you work from multiple locations but on a much more cost-effective budget. In my observation, however, there is a greater appeal among startups with a handful of employees rather than self-employed and freelancing professionals. Regardless of whether you are a startup with employees or a self-employed individual, there are coworking spaces that should fit your budget and needs. It may cost more than stealing Wi-Fi at a coffee shop but it’s affordable way sooner than a long-term office lease. The coworking space that I work out of is open 24/7. I hadn’t acknowledged the importance of this until I realized that there are a lot of spaces out there that are only open during normal 9 to 6 office hours. This can be a real pain for high growth startups that tend to work twelve or even fourteen hours a day. At the same time, if you are someone who only needs the space during regular work hours, you must know that you might still be paying for round-the-clock access. You may either want to negotiate your price or find another space that fits your budget. I consult VC backed startup businesses with Internet marketing guidance. I cofounded Vab Media a digital marketing startup agency in New York. I cover and write about topics such as entrepreneurship, conversion optimization, digital marketing tips and strategies for the startup and investor community.